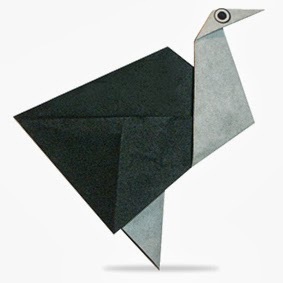 Ostrich Origami- Personally I did not know this animal, So I did a little extra research on internet how to describe this animal before we fold it as an origami. Ostrich belong to group of birds which is flightless meaning they cannot fly, still they are classified as birds, they are native in Africa, we all know that they are known for long neck. Now, here is a diagram for Ostrich origami. 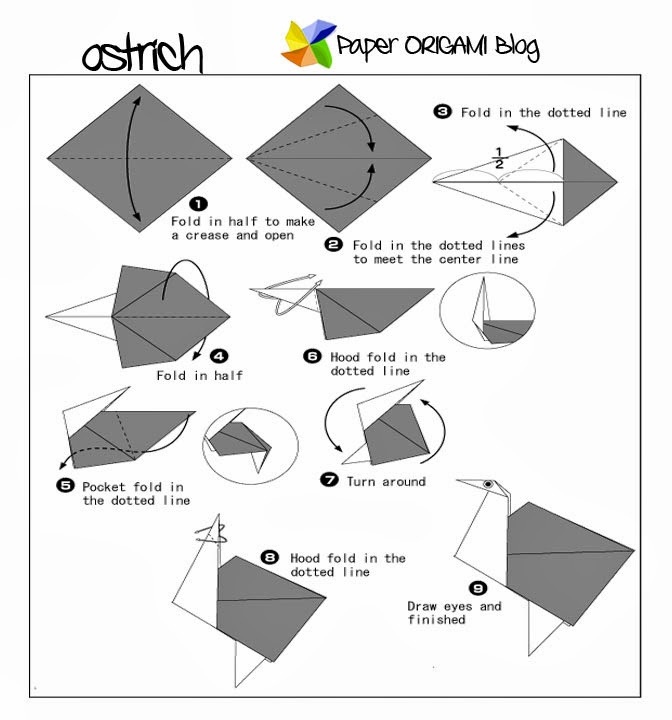 the photo on the left are the final result after folding its diagram.